In His prophetic nature, the Holy Spirit also prepares our hearts for what is to come. He is in fact preparing us all the time for what we are about to face. I find this fact about our Helper so comforting! I have seen this side of the Holy Spirit revealed in my own life in countless ways. One example is when I wrote the song “In Jesus’ Name.” I actually wrote it for a woman in our church who was battling cancer. Little did I know that the Holy Spirit was preparing my own heart for a battle that was soon to come. He gave me a song to sing over my own situation before I even knew about it. In everything that He is and that He does, the Holy Spirit continues to reveal the incomparable love of the Father for His children on the earth. 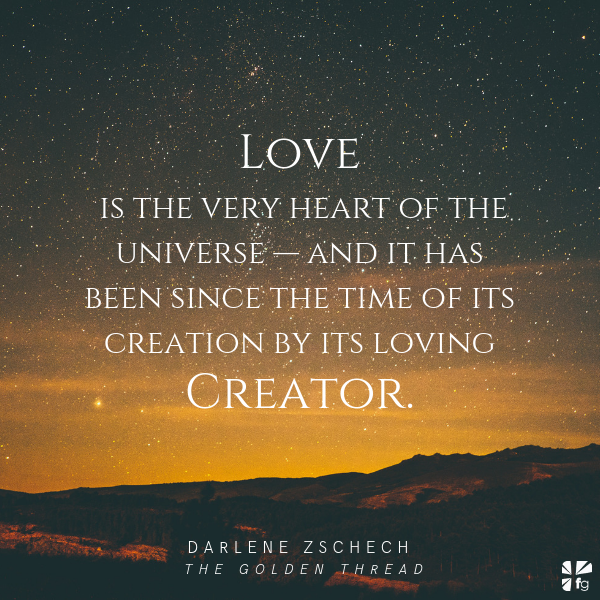 The love of God is what the golden thread is all about. Love is the very heart of the universe — and it has been since the time of its creation by its loving Creator. Love has always been and will always be — between the Father and the Son, between the Son and the Spirit, between the Spirit and the Father. Our triune God forms within Himself an unbreakable cord of Holy — all filled with the love of God. And this is the wonder of the saving grace of God that dwells within us — the holiness of grace that weaves its way throughout creation and through our world today by the power of the Spirit working within our lives. The Holy Spirit is the One who opens our eyes and causes our awareness to increase — like wind and fire in our bones. The Hebrew word ruach means “blow” or “breath,” and it refers to the wind of the Spirit blowing through our lives. The power of the Spirit ignites our lives with day-by-day, minute-by-minute, authentic lived-out worship of our amazing God, until we experience the growing and all-consuming flame of God’s love being birthed in our spirits. Another task of the Holy Spirit in our lives is to bring the Word of God to life in our circumstances and in our spirits. 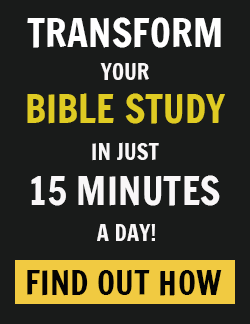 John 14:26 tells us that the Holy Spirit makes the Bible come alive for us. 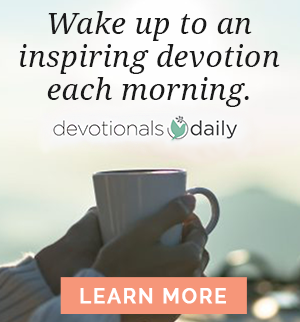 He gives us understanding into what the Scriptures speak into our situations — how we need to change, what steps we should take, how the Word needs to become real for us in our day-to-day lives. To live in the fullness of God’s sweet presence is His promise to us continually. But we need the Holy Spirit and the outworking of God’s presence in our lives to see this come to fruition. To have the Holy Spirit as our advocate is to have God Himself indwelling us as believers. So, why in the world would we ever resist the working of the Holy Spirit in our lives? A man-made understanding of the Spirit and His outworkings in our lives has probably put more people off the Holy Spirit than anything else our enemy could throw at them. 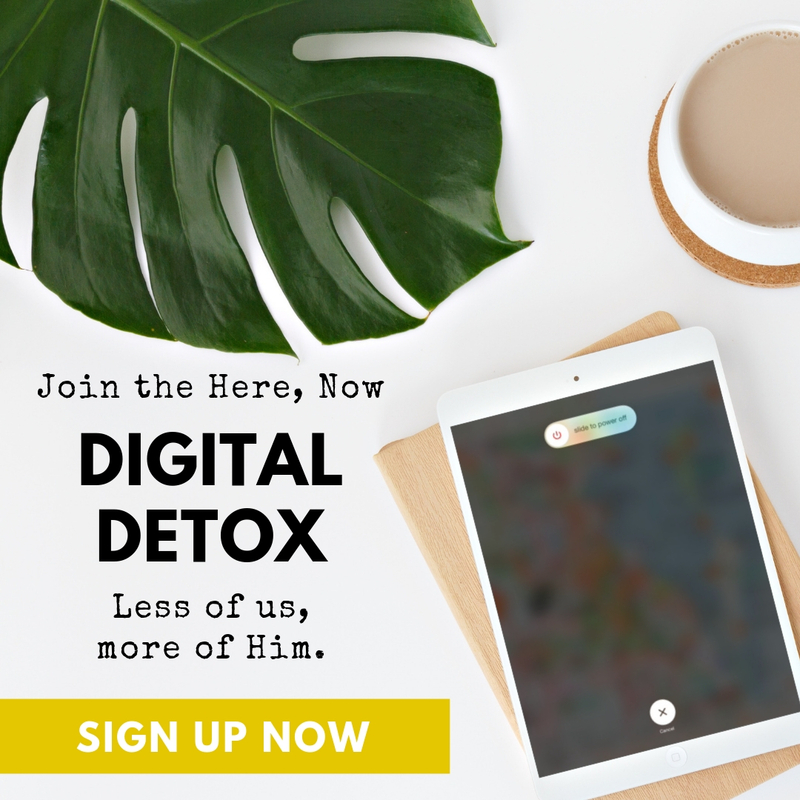 We can resist the Holy Spirit by refusing to tune our ears and our hearts to His voice, especially if our hearts grow cold to the things of God due to hurts, disappointments, and bitterness. These things may start off small, cropping up in our relationships because of differences of opinion or for many other reasons, but they will result in a devastating root of bitterness taking hold in our lives. After I had encountered the Holy Spirit in my life, I felt Him start to disassemble the walls that I had built up around my heart. Maybe you’ve never been taught about the person of the Holy Spirit and the presence of God before. But if you start digging into the Word and looking back throughout your life, you will find that He’s been walking with you and leading you all along. To put time aside to linger and wait to hear God’s still, small voice is probably one of the hardest things for most of us to do. He can speak in the quiet; He can also speak in the chaos. I have learned that what I cultivate in the secret place is what I hear loud and clear as I go about life in the day to day. When we trust in our own common sense or wisdom rather than in what the Holy Spirit is whispering to our hearts, then we can find ourselves resisting Him and His wisdom. And resisting Him can have devastating consequences for our lives and hearts and for the lives and hearts of the people on the earth today who need the presence of the Spirit to penetrate their world. How do we resist Him? We resist Him when the comfort of our flesh, or the pull of the status quo, trumps the conviction of following God with our entire being. We resist Him when condemnation, shame, and guilt block our ears to what the Holy Spirit is revealing to our hearts. Don’t allow this to happen in your life and in your heart! 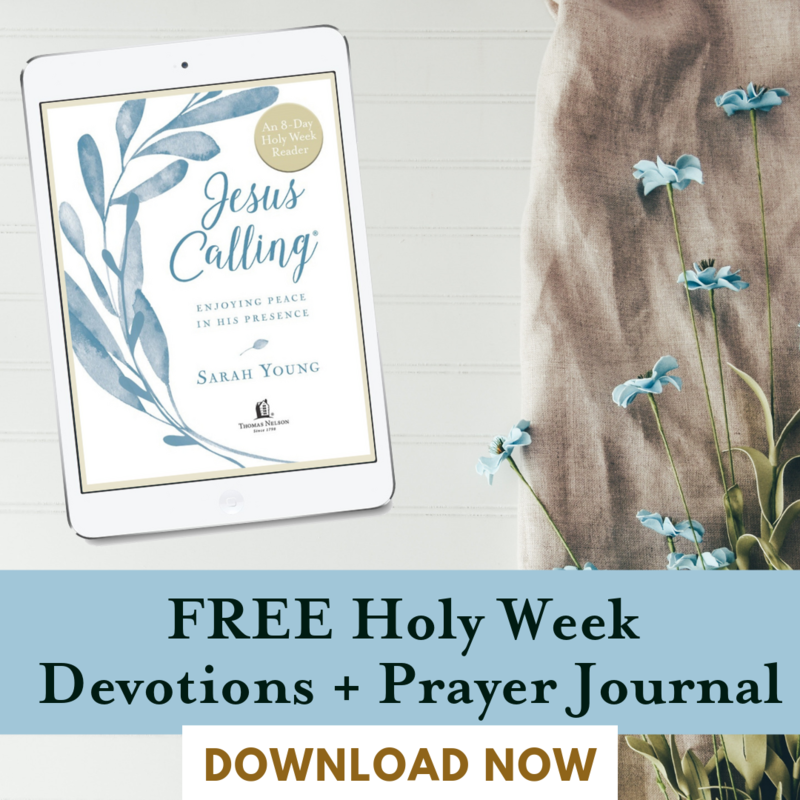 When He is invited into our lives, the Holy Spirit will take on the role of Guide and Counselor, leading us in the way we should go and revealing God’s truth to us — both through His Word and in the everyday situations we encounter. The Holy Spirit, in and through it all, will fill us continually with power to live and move and have our being in Christ Jesus. This is the purpose of His power in our lives and His speaking into our hearts. He speaks to us to make us more Christlike in every part of our lives, to sanctify us by His power, and He is speaking all the time! The problem is never whether He is speaking. The question is always, Are we listening? Saint Augustine, On the Holy Trinity; Doctrinal Treatises; Moral Treatises, trans. A. W. Haddam (Eerdmans, 1872).